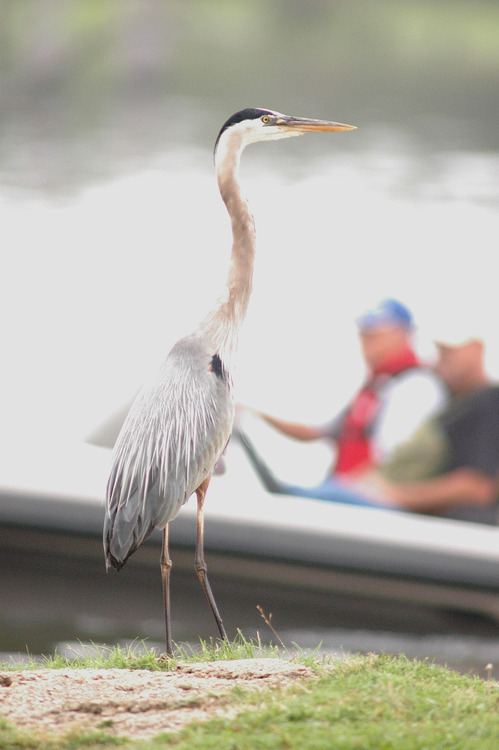 Slowly, much like a rattlesnake setting an ambush, Big Blue leans perceptively forward and while all around him bass anglers taking part in a tournament are busy weighing their catch, he is focused. 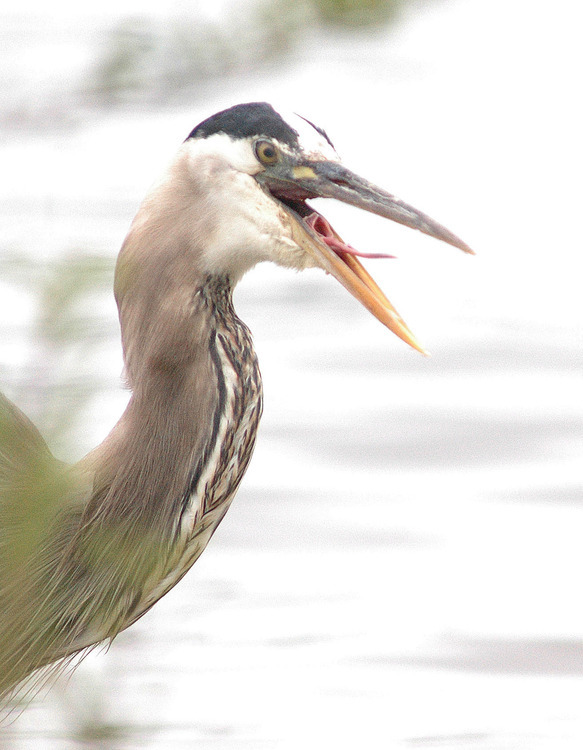 He’s spotted breakfast. 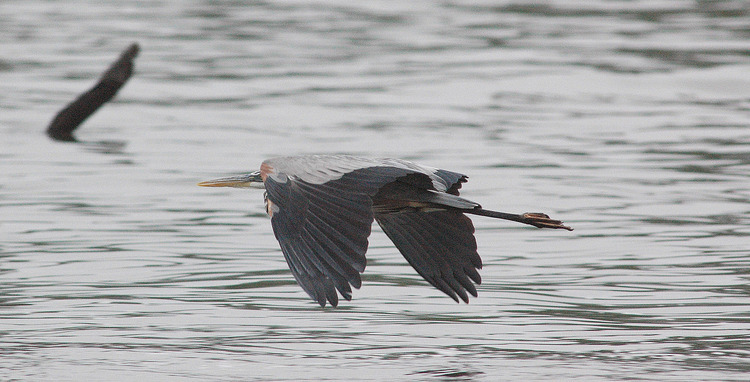 In the cool gray early morning, with fog hiding the distant trees and holding the rising sun at bay, the graceful heron turns his sharp bill into a lethal weapon the finest swordsman would be proud of. 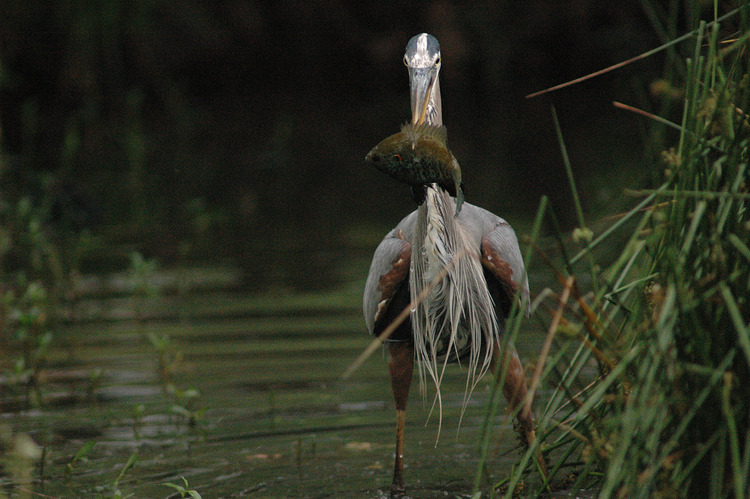 Suddenly he strikes, the body forward, the long slender bill disappears into the lush vegetation that grows on the bank of world famous Lake Fork. 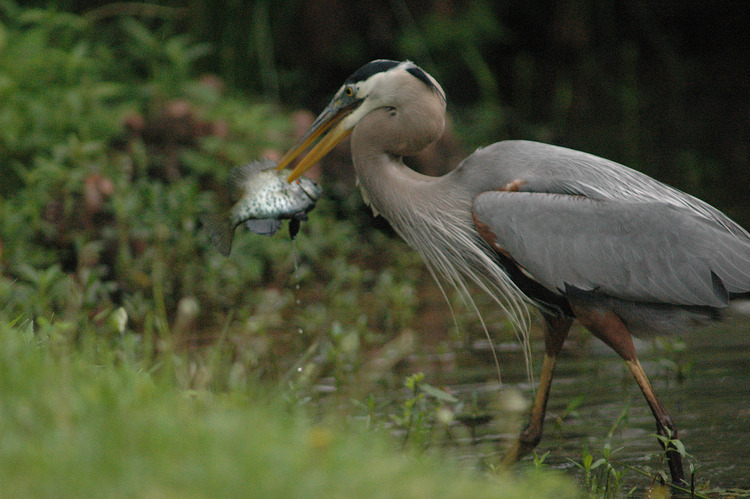 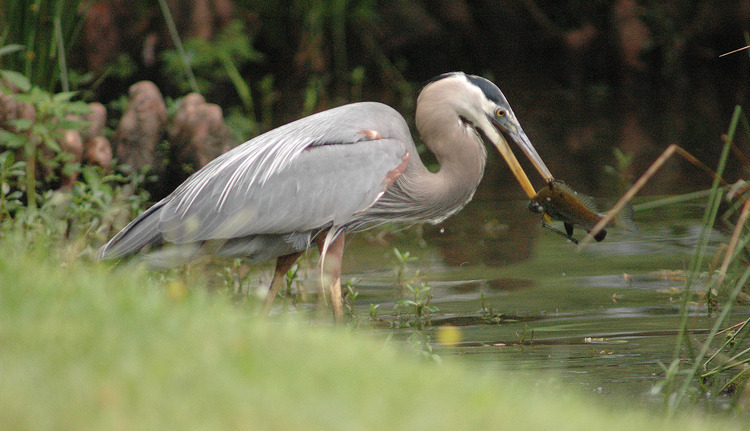 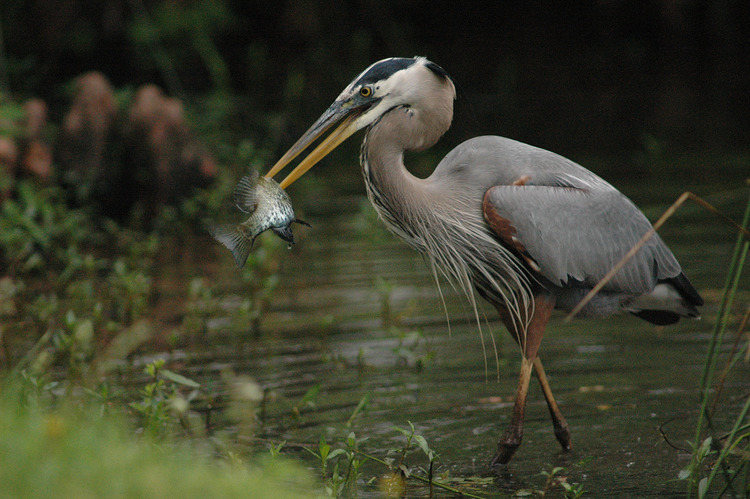 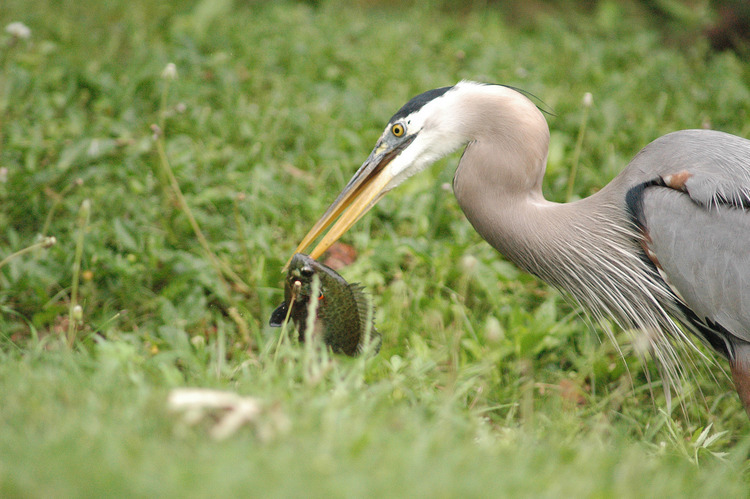 The heron’s bill slices through the boney portion of the fish’s skull, between the eyes, and the “battle” is over before it begins. 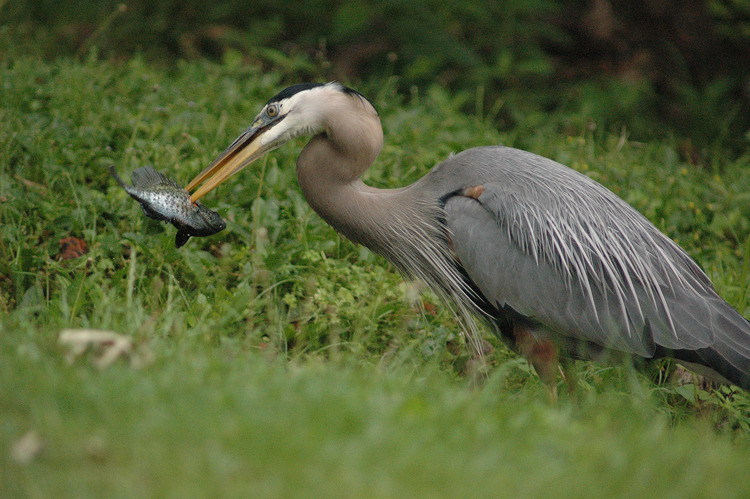 Turning ever so slowly the heron shakes the fish off the tips of his bill and onto the grass, then clutches the fish in the bill and with a flip of the head the fish is turned around and disappears head-first, with only a slight bulge in the throat as evidence that the first course is history. 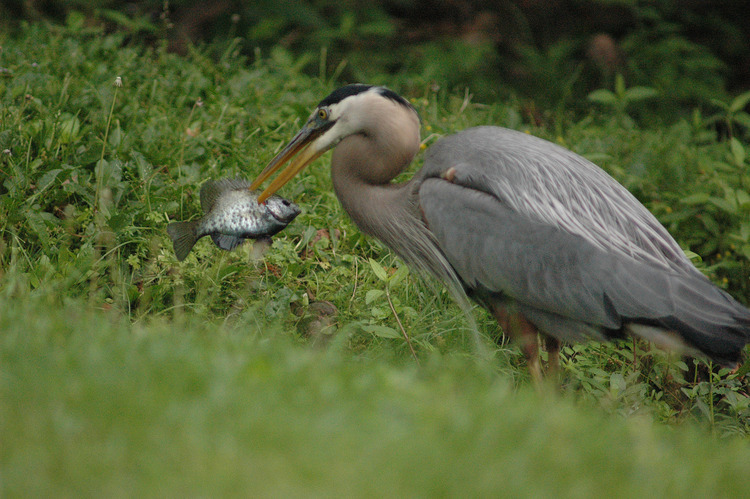 Within 10 minutes the scene is repeated, only this time the unlucky fish was stabbed in the side as though it was turning away in hopes of escape as the heron drove his bill through the protective vegetation that it turns out is only an illusion. 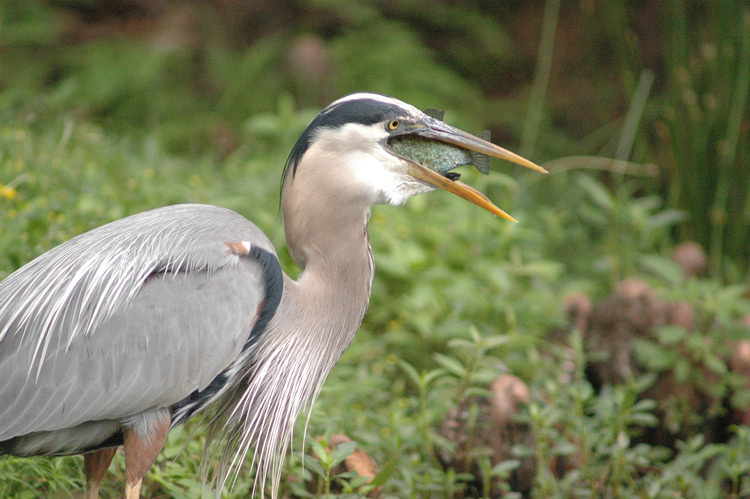 There is little protection when the heron is hungry. 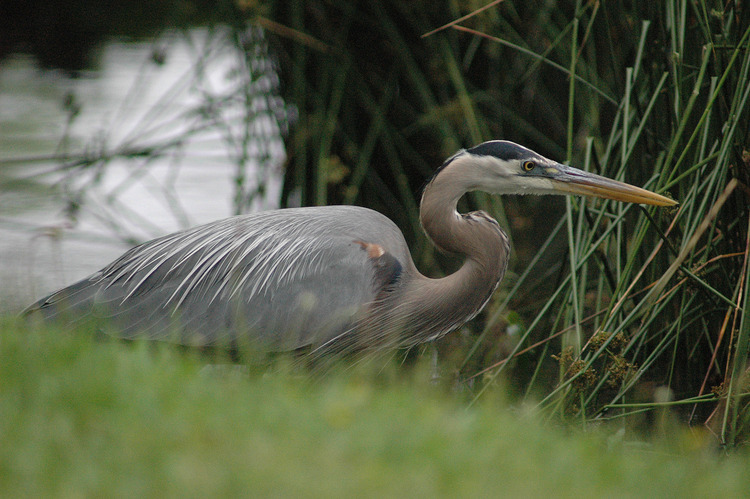 Big Blue has fishing down to a science as he prowls the shallows of the shoreline. 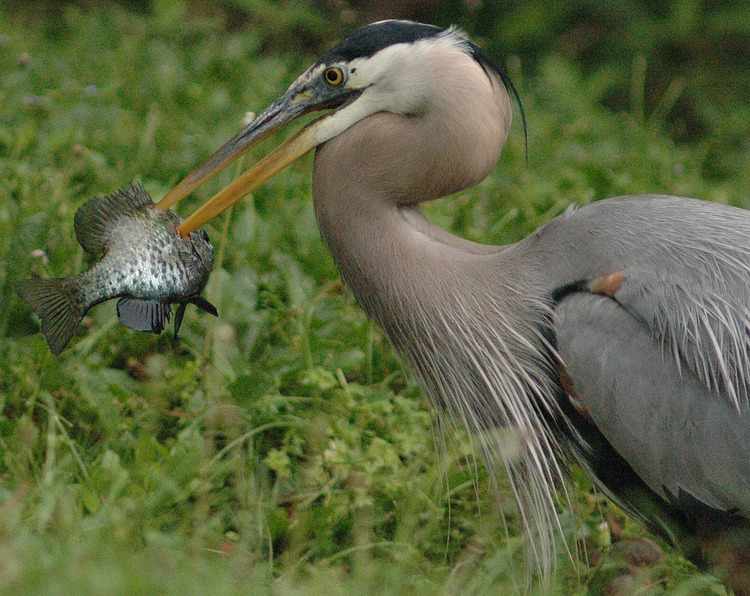 It involves stealth and patience. 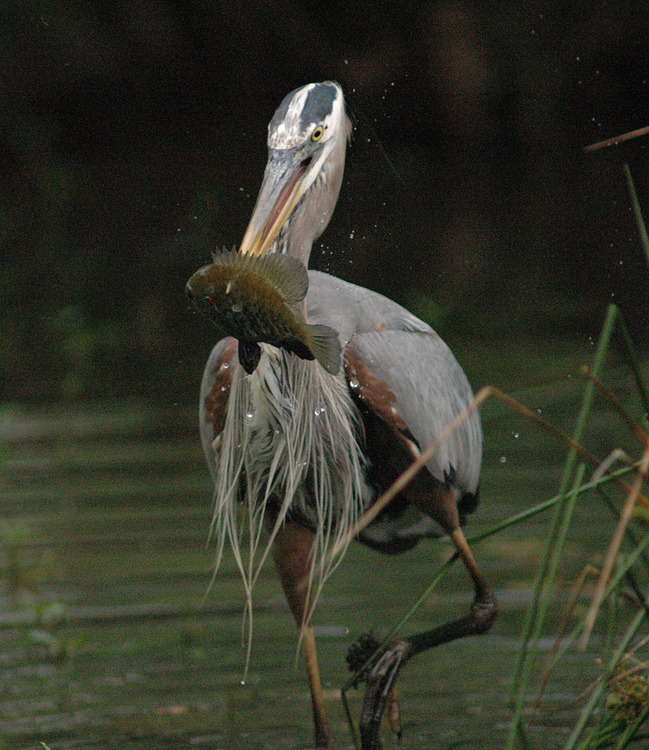 Very little movement and then in a flash, it’s over and the process is repeated until satisfaction has been reached. 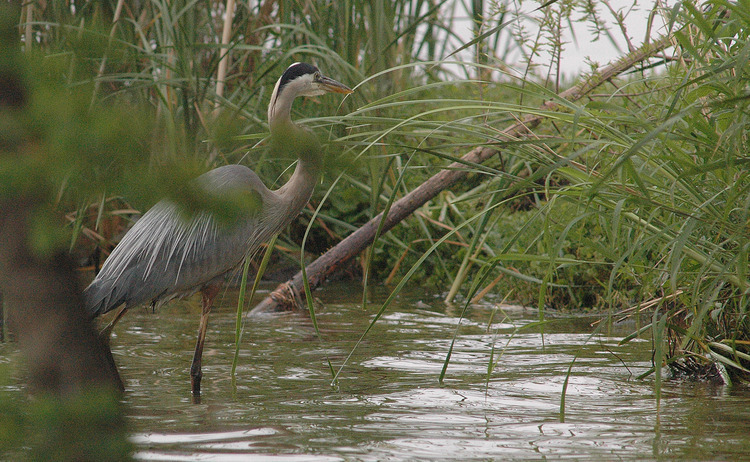 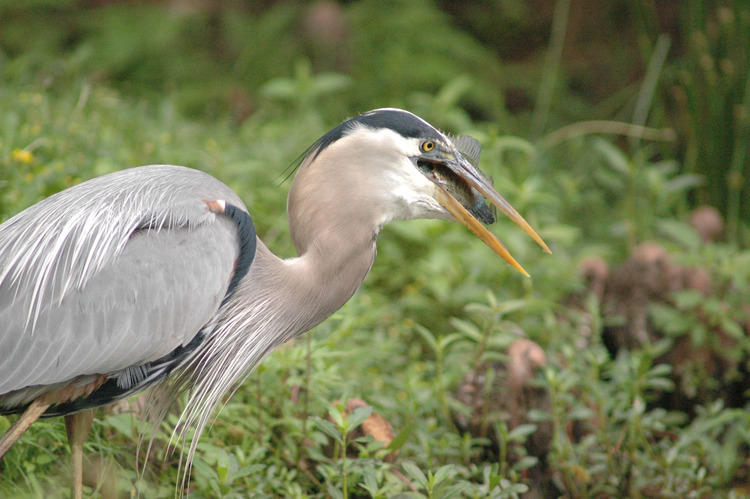 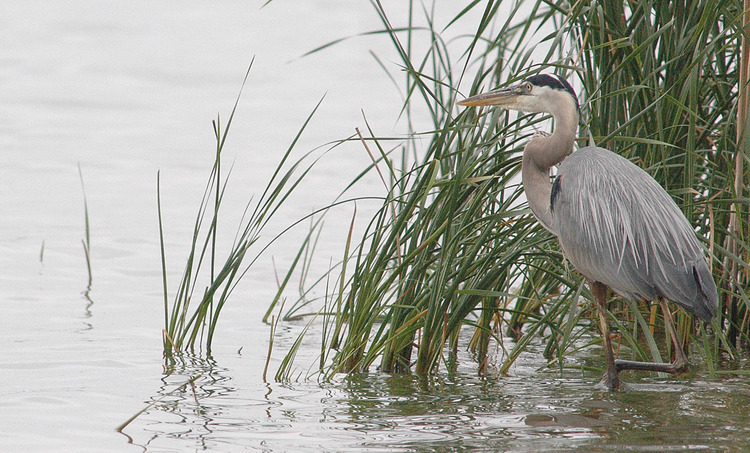 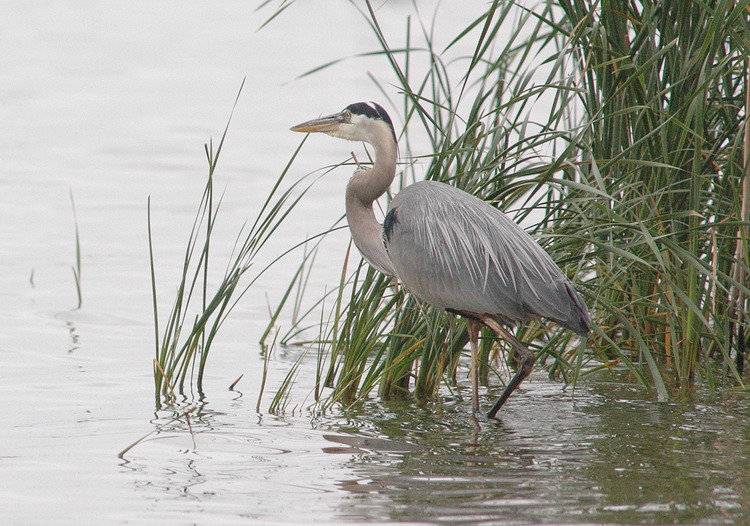 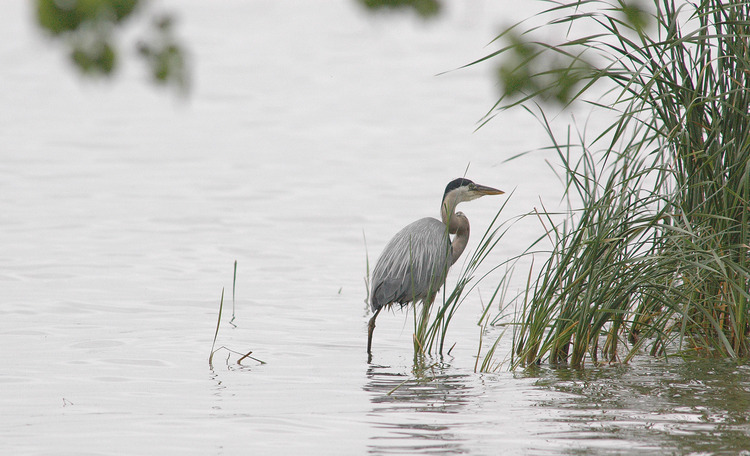 The heron is one of our favorite birds with its’ long neck and soft plumage.